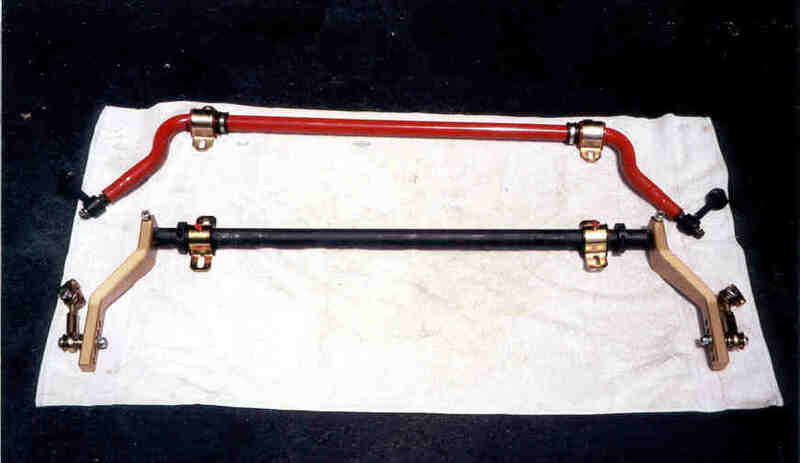 I began my quest for better handling by looking at the sway bars on my car. Being somewhat of a tightwad I looked at the cheap stuff to begin with. So I kept the OE sway bars and upgraded the bushing to polyurethane. Definitely worth it as it got rid of the rubber mush Mazda calls bushings. Then I beefed up the mounting hardware by installing a Racing Beat sway bar brace. 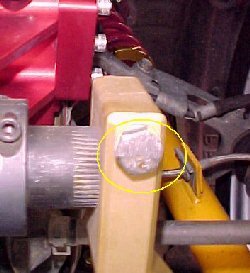 A good idea if you are at the track as the OE brackets will break - I've seen a broken one and it ain't pretty. The RB brace is only $70 and some change so its well worth it also. Now onto bigger and better things - bigger sway bars. I wanted adjustibility so the Sway bar kits, like PFS's, Suspension Techniques, and Eibach, were basically out. 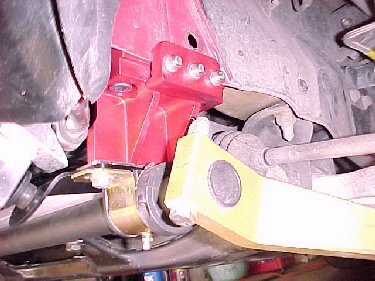 I looked at the Racing Beat modular bar but later learned from close associates that the lever arms are prone to breaking which left me with Tripoint (pictured above next to my OE front bar) or the Mostly Mazda adjustable bar both of equal reputation. I chose the Tripoint bar and it is stunning. You can adjust this thing more ways than you can imagine. Gone are the OE solid end links (one of which I had to replace already) and added are hiem jointed adjustable end links, new urethane bushings w/zirc grease fittings, a 35 mm tube (I got 0.125" wall thickness - middle of the road, stiffness wise) and solid alloy lever arms. Expensive but I think worth it. I'm still on the OE rear bar with polyurethane bushings but might upgrade to the RB bar sometime in the future for the adjustibility. 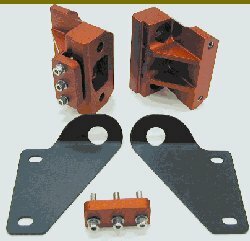 The OE rear bar is fine for pretty much all applications. Sometimes your car just gets so modified that driving it on the street becomes an issue. In my case it was the fact that with the low profile front Yokohama tires on 17" rims, the huge Tripoint front sway bar with the Racing Beat lateral sway bar bracing, coilover suspension, my car was dangerously low to the ground. 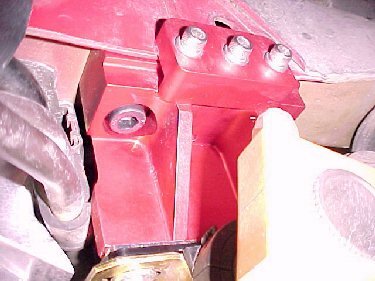 The points of concern, the sway bar lever arm clamp bolts (see picture below). These items I found myself frequently dragging on the ground over moderate road undulations. Not good! The only solutions, raise the entire suspension, which I did not want to do for many reasons, or raise the problem part away from the road surface. I found the answer in the Widefoot Racing Co. Sway Bar Mounts. Not only are the mounts designed to provide a much more sound anchoring point for the front sway bar but also to raise the swaybar 1 1/2 inches from the ground.